It’s official! Lucasfilm has announced that Star Trek director J.J. Abrams will helm Star Wars: Episode VII, the first of a new series of Star Wars films. Abrams, his longtime producing partner Bryan Burk, and Bad Robot are on board to produce along with Kathleen Kennedy under the Disney | Lucasfilm banner. Back in November, the secretive filmmaker declined being involved with the project.”I have some original stuff I am working on next,” Abrams told Entertainment Weekly. The director reportedly changed his mind after being courted (possibly Jedi mind tricked) by Kathleen Kennedy to take the job. 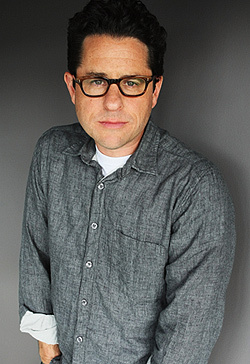 J.J. Abrams is the ideal choice to direct Episode VII. The original Star Wars trilogy had a major influence on his projects. Star Wars was often quoted on the TV show Lost and inspired the 2009 Star Trek reboot, much to the chagrin of Trekkies everywhere. Abrams is currently in post-production on the sequel, Star Trek Into Darkness. Abrams will direct Episode VII from a script by Oscar-winning screenwriter Michael Arndt (Little Miss Sunshine, Toy Story 3). Star Wars: Episode VII is targeted for release in 2015, with more feature films expected to continue the franchise well into the future.